Tokyo Meets New England | Mighty Mac of Gloucester | A Continuous Lean. In 1909, Mighty Mac was founded in â€œAmerica’s Oldest Seaport,â€ Gloucester, Massachusetts. 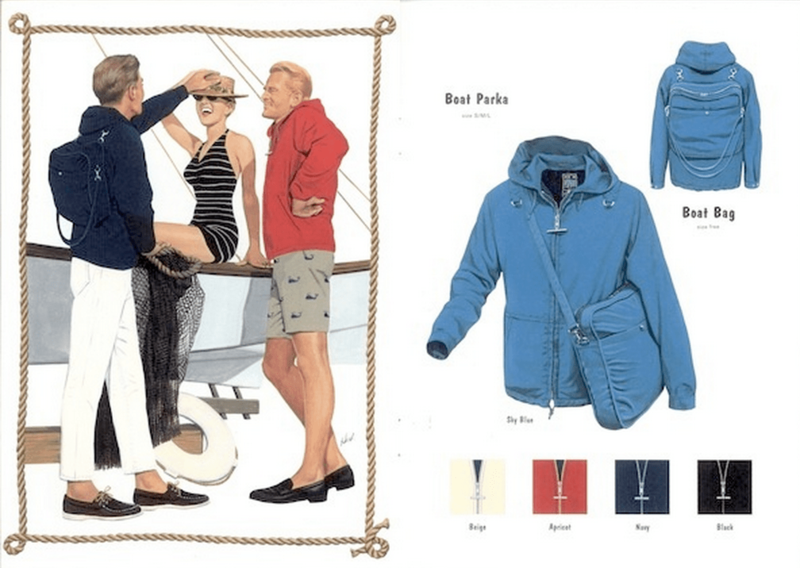 Exactly one century later, the classic sea-ready sportswear brand was revived by 35Summers, an umbrella company based out of Tokyo. During that hundred year span, Mighty Mac followed what has now become a familiar trajectory for many American â€œheritageâ€ brands – a steady rise throughout the mid-century, a sharp decline in the waning decades of twentieth century, and a resurrection led by a reverent Japanese audience. Even after the brand shuttered around 1990, the Japanese had come to idolize Mighty Mac of Gloucester for the same reasons that New Englanders were drawn to the brand during the early 1900’s. 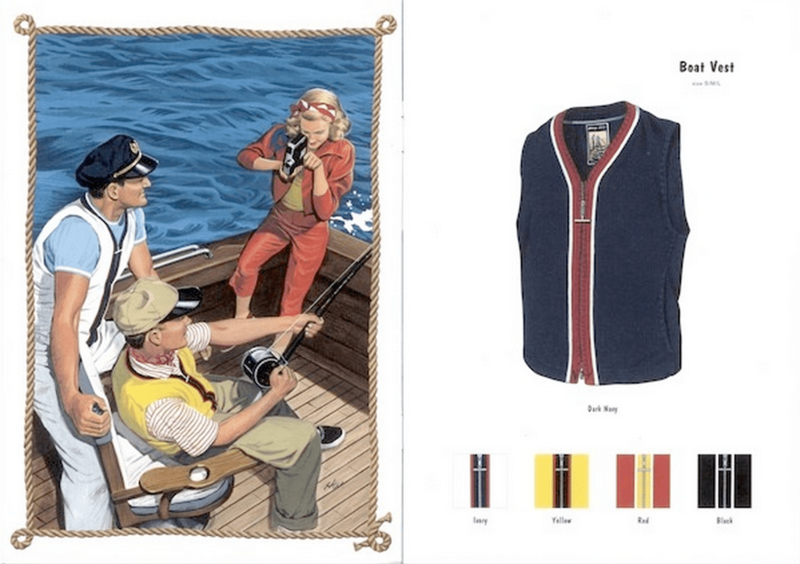 Mighty Mac’s fabrics were functional, and the designs featured all those idiosyncratic bells and whistles that actually had a purpose for the brand’s seafarer customers, and appealed to the fastidious Japanese market. 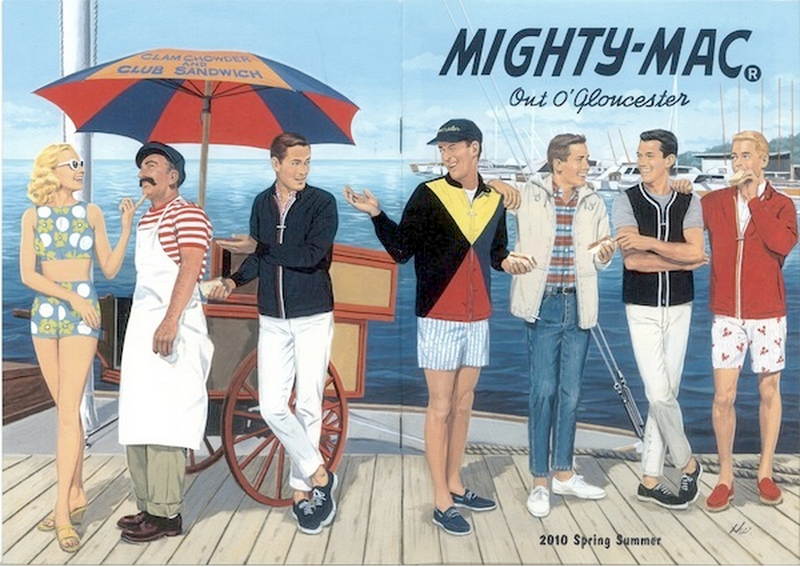 Their water resistant poly/cotton blend anoraks and jumbo sailing flag jackets became quite popular on Tokyo’s vintage market, spurring 35Summers (which has also revived Big Yank, Rocky Mountain Featherbed, and other once iconic American labels) to purchase and restart Mighty Mac five years ago. 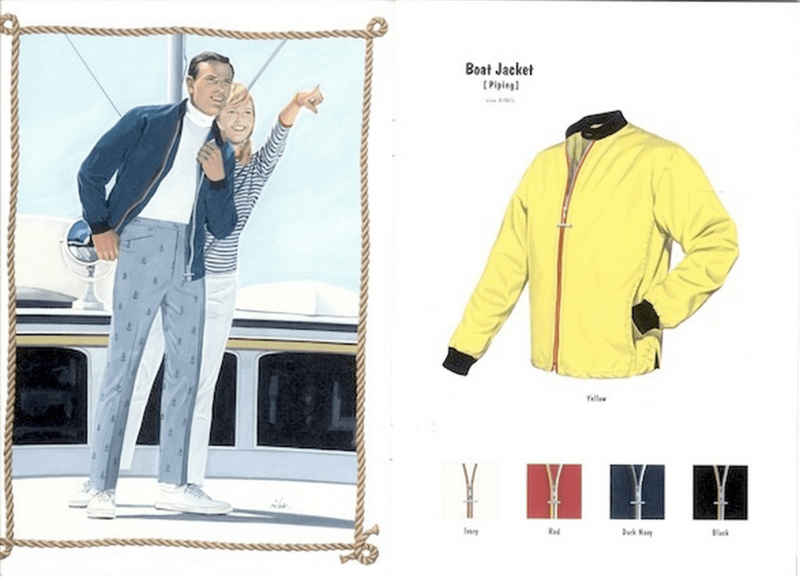 The brand made an early splash with their incredible Spring/Summer 2010 lookbook, which was drawn by well known Japanese illustrator Hiroshi Watatani, but since then they haven’t released many other promotional materials. Fortunately, they have continued to release product though, and End Clothing in Newcastle has a decent sized offering for this season. The collection (which is made entirely in Japan) is unsurprisingly loyal to Mighty Mac’s heyday, and includes many of the brand’s best-known pieces including their signature clip-in backpack deck jackets. It may be by way of Tokyo but like a lighthouse beacon in the night, it’s refreshing to see Mighty Mac of Gloucester’s bold palette and classic patterns back on the market. Mighty Mac was a valuable and hardy resource during my years at J. Press. 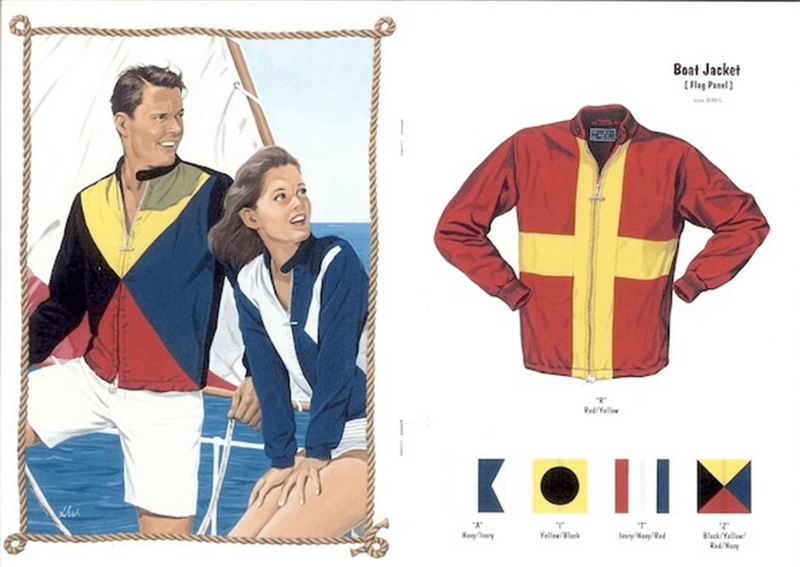 I recall a wonderful Mighty Mac gray melton winter coat that I really resented growing out of. Always good stuff. Back in the late 60’s and early 70’s, Used to sell them at the Wm H Block company in Indy. Their winter coats were awesome, and bulletproof. 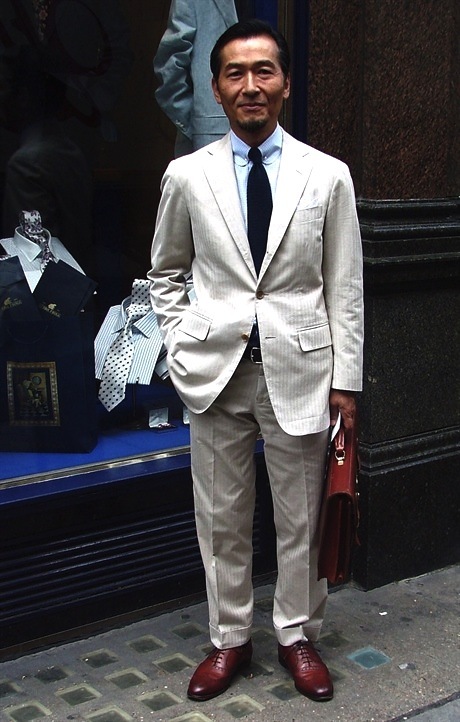 I still remember one style they had, that was a canvas type exterior, with a pile type lining. Reminded me of one of my dad’s WW2 Submarine coats. Indestructible. And the zipper…..with the metal heavy bar type zipper pull. No problem dealing with that zipper wearing gloves. Did you catch the ad on the cart umbrella? Clam chowder and a club sandwich…that sounds SO GOOD! Maybe some fries and coke, too. 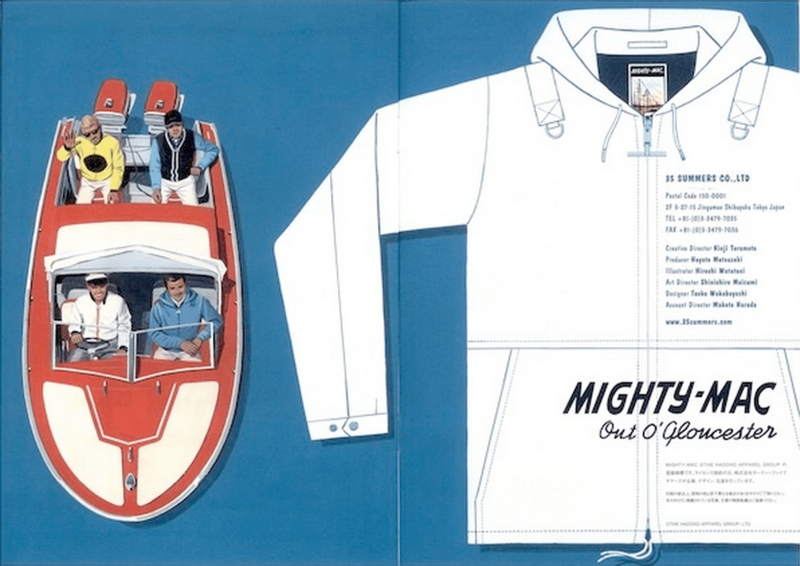 Growing up in a SoCal beach town, I remember all of us who had anything to do with boats had Mighty Mac jackets and sweaters. I respect the Japanese attention to detail, even though they usually miss the point of the design. It’s rather odd to me how they pick up these old lines which are so contextual. Mighty Mac was from New England sailing/fishing roots, and West or East Coast I never saw the stuff away from a boatyard or marina. I can see their heavy coats, as RKW noted, useful for icicle-surrounded Midwest lakes. Japan does have a few great dinghy and yacht racers, but what I saw on P35’s site is far, far from Gloucester.